The Waterscapes, Inc Design Process Whether he’s building a simple backyard firepit or an entire personal theme park, Eric follows the same meticulous design procedure. He works closely with each client to evaluate their goals, needs and style. Next Eric comes up with a design that matches those specifications and fits each client’s budget. During the installation process, Eric takes time to educate our clients on how to extend the life of their landscaping and water features through proper care techniques. Eric will even take his clients shopping for the materials. Unlike other swimming pool remodeling or landscaping companies, Eric prides himself on craftsmanship and durability. He refuses to sacrifice quality for time and enjoys sharing the process with homeowners. 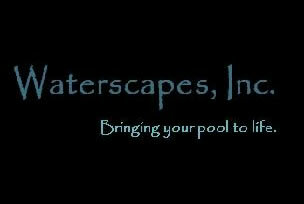 Waterscapes, Inc customers consistently voice appreciation for Eric’s honesty, workmanship and respect for their homes and gardens.